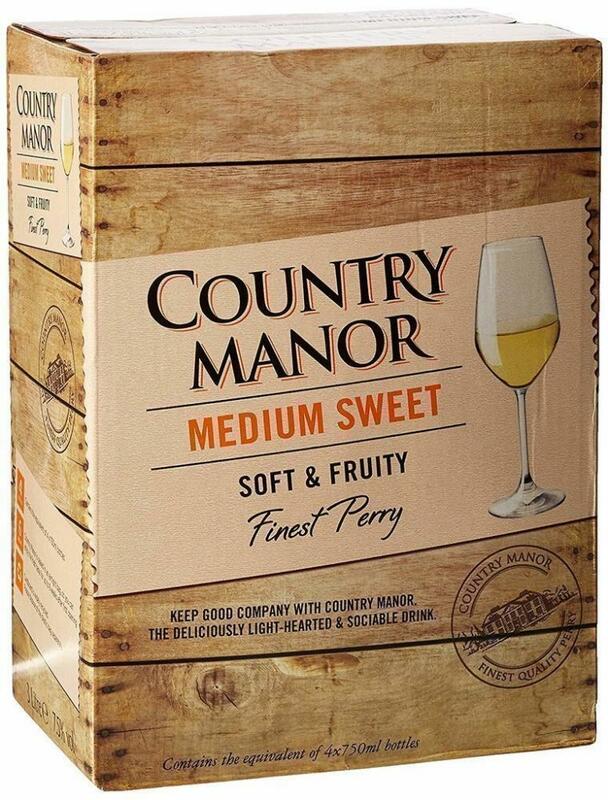 Country Manor sweet perry is produced from the finest pears to produce a refreshing, lighter alternative to wine. It has deliciously light and mellow tasting notes is deliciously mellow with fresh pear-fruit flavours. It is the Ideal lighter alternative to white wine. As such, it is the perfect accompaniment to light meals such as salads and fish. It also lends itself to a delicious aperitif or party drink. It is ideal for Birthdays, Christmas, Wedding, Father's Day occasions. This is deliciously light-hearted and sociable drink. It contains sugars and sweeteners.